Whether we like it or not, society has become very pill oriented. If you have a headache, more often than not, you pop a pill rather than look for the source of the problem. During pregnancy, we are asked to quickly change our ways and avoid medications whenever possible. By avoiding medications in pregnancy we can hopefully avoid potential complications with the development of our babies, though avoidance is not always possible. There are times when medication use is the best solution. There are, however, guidelines that we can use for using medications and helping us answer the question of 'Is this medication the best answer?' One of the most helpful tools will be the FDA's Pregnancy Drug Categories. Controlled studies in humans have demonstrated no fetal risks. There are few category A drugs. Examples include prenatal vitamins, but not massive dosages of vitamins. Animal studies indicate no fetal risks, but there are no human studies, or adverse effects have been demonstrated in animals, but not in well-controlled human studies. There are either no adequate studies, either animal or human, or there are adverse fetal effects in animal studies but no available human data. Many medications pregnant women use fall into this category. There is evidence of fetal risk, but benefits are thought to outweigh the risks. Proven fetal risks clearly outweigh any benefit. Accutane would be an example. When considering a medication that is over the counter you may wish to discuss its category rating with a pharmacist or your doctor or midwife. It's also a good time to learn alternative techniques for dealing with common aches and pains and becoming less medication dependent. For example, if you have a headache, you might try some techniques like a warm bath, laying down in a relaxing, dark room, acupressure points or even massage. One mom offers the tip for headaches of trying something with caffeine in it. After avoiding caffeine for so long she says it really relieved some of her headaches and helped her avoid medications. Now, in a perfect world, these measures would always work, pregnant women would never get really ill and there would never be a need for medications. However, there are times when a woman needs to take a medication throughout pregnancy. Medication may be required to control a maternal condition or to resolve a maternal illness. Some medications are even required to maintain the pregnancy, for examples, medications used in preterm labor. When you have a question about a medication do not hesitate to talk to your practitioner about the risks and benefits of a proposed medication. 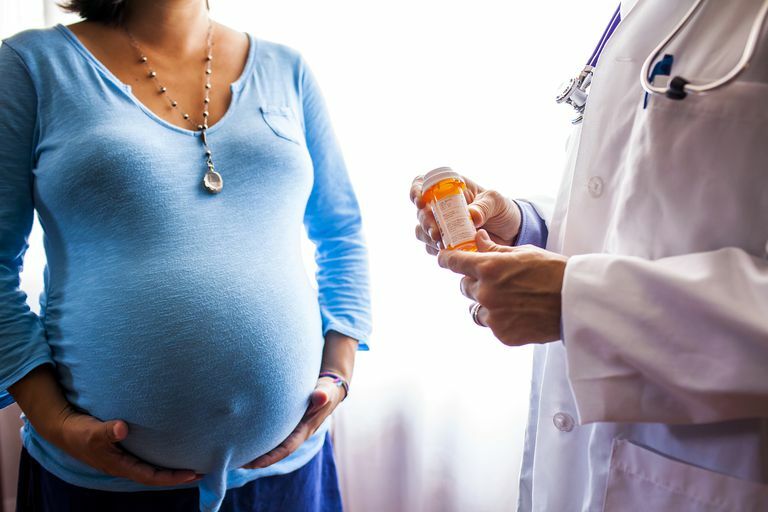 In some situations, a medication may only need to be avoided during a particular period during pregnancy, like the first trimester when the baby's organ systems are forming, or perhaps there is a similar medication that can be substituted during pregnancy. Always remember to ask questions.